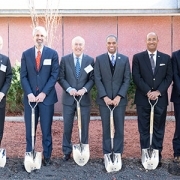 Pictured, from left to right: Mike Williams, board chair of Children’s National, Mark Batshaw, M.D., chief academic officer and physician-in-chief at Children’s National, Kurt Newman, M.D., president and CEO of Children’s National, Ward 4 Councilman Brandon Todd, Norvell Coots, M.D., president and CEO of Holy Cross Health, and Sarosh Olpadwala, director of real estate, Office of the Deputy Mayor for Planning and Economic Development. 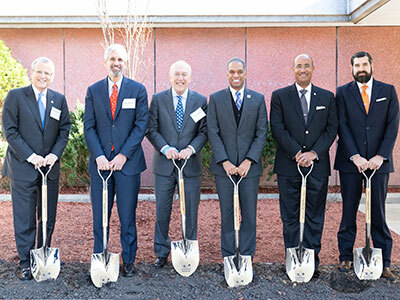 On November 28, 2018, Children’s National Health System marked the official start of construction on its pediatric research and innovation campus with a groundbreaking event. The campus will be distinct nationally as a freestanding research and innovation complex focused on pediatric medicine. Children’s National is renovating four existing buildings on a nearly 12-acre portion of the former Walter Reed Army Medical Center campus. This includes a research and innovation building, an outpatient care center, which will include comprehensive primary care services for the community and a conference theatre. With 160,000 sq. 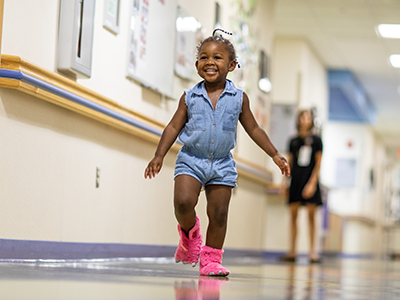 ft. of research and innovation space – and room for expansion – Children’s National will be able to expand its efforts in the high-impact opportunities in pediatric genomic and precision medicine. Developing treatments that can target an individual’s disease more precisely can produce better outcomes with fewer side effects. This focus on personalized research will also improve access at the main hospital by freeing up space for the high-demand critical care services that Children’s National provides. 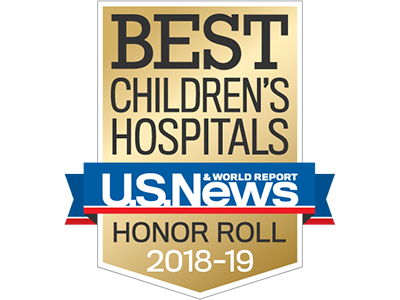 These efforts will be anchored by three areas of strength at Children’s National: the Center for Genetic Medicine Research, headed by Eric Vilain, M.D., Ph.D., the clinical molecular genetics laboratory directed by Meghan Delaney, DO, MPH, and the Rare Disease Institute headed by Marshall Summar, M.D. A critical component of the new campus’ success is its proximity to key partners, such as industry, universities, academic medical centers, federal agencies and start-up companies. By working together with these partners, Children’s National hopes to create an ecosystem for nurturing innovation from laboratory discovery all the way through to commercialization. The new pediatric research and innovation center will also provide an economic benefit of $150 million through its completion date of 2020, providing 350 temporary jobs and 110 permanent positions. The long-term growth, based on an independent study by McKinsey and Company, is exponential and could produce up to $6.2 billion in economic benefit by 2030, based on projected tax revenue and 2,100 permanent jobs, pending future research partnerships. Myriad biological and societal factors can impact the occurrence and accelerate progression of chronic kidney disease for children of African descent – including preterm birth, exposure to toxins during gestation and lower socioeconomic status – and can complicate these children’s access to effective treatments. 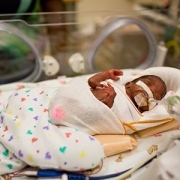 Myriad biological and societal factors can impact the occurrence and accelerate progression of chronic kidney disease (CKD) for children of African descent – including preterm birth, exposure to toxins during gestation and lower socioeconomic status – and can complicate these children’s access to effective treatments, according to an invited commentary published in the November 2018 edition of American Journal of Kidney Diseases. Clinicians caring for “these vulnerable children should be mindful of these multiple competing and compounding issues as treatment options are being considered along the continuum from CKD to kidney failure to transplantation,” writes Marva Moxey-Mims, M.D., chief of the Division of Nephrology at Children’s National Health System. Preterm birth. 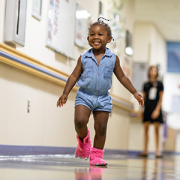 African American children make up 36 percent of patients in CKiD with glomerular disease, which tends to have faster progression to end-stage renal disease. These diseases impair kidney function by weakening glomeruli, which impairs the kidneys’ ability to clean blood. 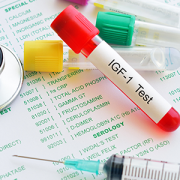 Patients with a high-risk apolipoprotein L1 (APOL1) genotype already are at higher risk for focal segmental glomerulosclerosis (FSGS) and CKD. Researchers hypothesize that preterm birth may represent “a second hit that facilitates the development of glomerular damage resulting from the high-risk genotype.” According to the Centers for Disease Control and Prevention, 1 in 10 U.S. infants in 2016 was born preterm, e.g., prior to 37 weeks gestation. APOL1 genotype. 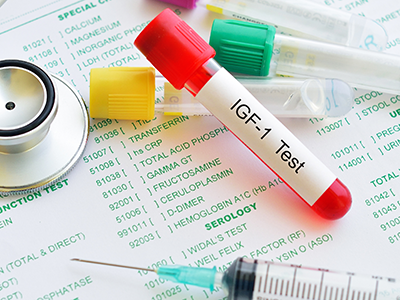 Compared with children who had a low-risk genotype and FSGS, children with a high-risk genotype had higher rates of uncontrolled hypertension, left ventricular hypertrophy, elevated C-reactive protein levels and obesity. Access to kidney transplant. African American adults experience a faster transition to end-stage renal disease and are less likely to receive kidney transplants. African American children with CKD from nonglomerular diseases begin renal replacement therapy 1.6 years earlier than children of other races, after adjusting for socioeconomic status. Their wait for dialysis therapy was 37.5 percent shorter. 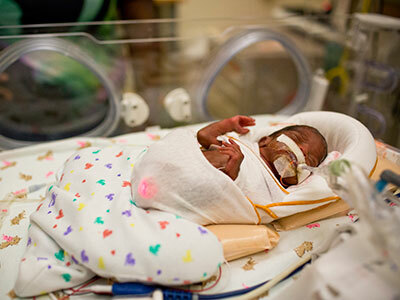 However, these African American children waited 53.7 percent longer for transplants. 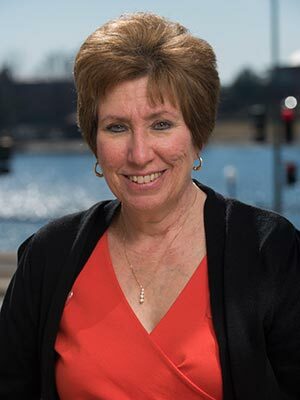 Although donor blood types, genetic characteristics and other biological factors each play contributing roles, “these findings may reflect sociocultural and institutional differences not captured by socioeconomic status,” Dr. Moxey-Mims writes. 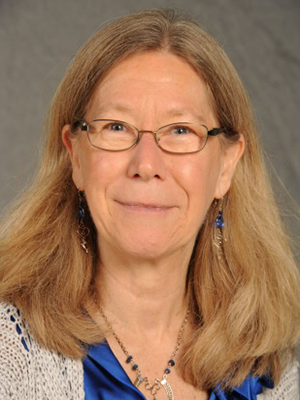 To alleviate future health care disparities, she suggests that additional research explore the impact of expanding services to pregnant women to lower their chances of giving birth prematurely; early childhood interventions to help boost children’s educational outcomes, future job prospects and income levels; expanded studies about the impact of environmental toxicities on prenatal and postnatal development; and heightened surveillance of preterm infants as they grow older to spot signs of kidney disease earlier to slow or prevent disease progression. The article covered in this post is part of a supplement that arose from the Frank M. Norfleet Forum for Advancement of Health: African Americans and Kidney Disease in the 21st Century, held March 24, 2017, in Memphis, Tennessee. The Forum and the publication of this supplement were funded by the Frank M. Norfleet Forum for Advancement of Health, the Community Foundation of Greater Memphis and the University of Tennessee Health Science Center. 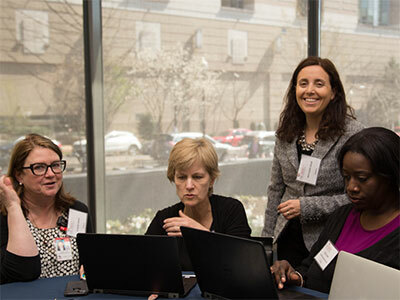 A pilot program at Children’s National enabled parents of children with extremely rare diseases to receive in-person or virtual health consultations with a trained provider. Pediatric advance care planning (pACP) and making complex medical decisions is especially difficult for parents of children with extremely rare diseases. Imagine if your child is the only person in the world with a rare disease that may limit basic functions: eating, breathing, walking and talking. Now, imagine you are presented with two scenarios: Experiment with a new drug to see if it improves your child’s conditions or plan for near-future, end-of-life care. While these types of difficult decisions for parents of children with rare diseases are common, a new counseling model, based on a four-session pilot program conducted at Children’s National, aims to ease this process by providing parents with a comprehensive support plan. On Oct. 15 and 16, Maureen Lyon, Ph.D., a clinical psychologist at Children’s National and a professor of pediatrics at the George Washington University School of Medicine and Health Sciences, will present “Living on the Precipice: The Journey of Children with Rare Diseases and Their Families” at a poster session at the National Organization for Rare Disorders’ Rare Disease and Orphan Products Breakthrough Summit at the Marriott Wardman Park in Washington. Background: Eight families were recruited for the pilot program and seven enrolled. Six completed the four-session program, which was spread out over two months. All parents were mothers, but two fathers joined for the goal-planning care conversation sessions. Some families brought their children to visits. Five parents were married and two were single. Four families identified as Caucasian, three families identified as African American, and one family identified as American Indian or Alaska Native. Visits: About half of the families – three – attended the sessions at Children’s National. Four used the telemedicine option. A research nurse, clinical psychologist and advanced practice nurse participated in the 60- to 90-minute sessions. Plans: The families discussed basic palliative care needs, such as comprehensive care coordination, which is highly individualized, before discussing their goals of care. After their needs and goals were discussed, the families created advance care plans to guide them during a medical crisis. Results: Out of the six parents who completed the study, the mean positive caregiver appraisal score increased from 4.5. To 4.7, mean family well-being increased from 3.9 to 4.1, and the mean score for meaning and peace increased from 21.4 to 23.3. The scores were calculated by using the Carer Support Needs Assessment Tool (CSNAT) during the assessment and with modified protocols to assess quality of life and caregiver appraisal after the intervention. 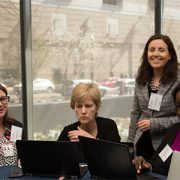 The researchers would like to use this pilot to partner with other medical centers to create an evidence-based template to support the palliative care needs of family caregivers who have children with life-limiting rare diseases. Their goal is to improve a family caregiver’s quality of life, over time, and increase the completion and documentation of advance care plans for children of all ethnic and racial groups. Rare diseases are defined as a disease that affects fewer than 200,000 people in the U.S. Extremely rare diseases, including those observed in this pilot, may affect just one or a few people in the world. The rare disease pilot program is based on previous pACP models with adolescent HIV and pediatric cancer populations. 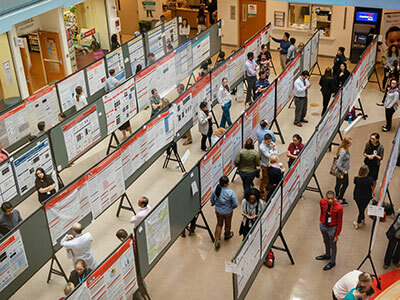 Additional poster authors include Jichuan Wang, Ph.D., Karen Fratantoni, M.D., M.P.H., Kate Detwiler, Ph.D., Yao Cheng, M.S., and Marshall Summar, M.D. 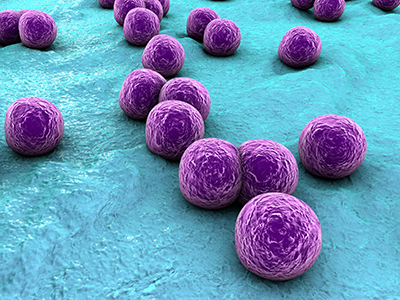 Patients with cystic fibrosis who carried antibiotic-resistant bacteria, such as Staphylococcus aureus, in their lungs had significantly lower microbial diversity and more aggressive disease, according to a small study published in Heliyon. A defective gene causes thick, sticky mucus to build up in the lungs of patients with cystic fibrosis (CF). 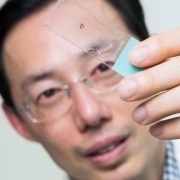 There, it traps bacteria, causing patients to develop frequent lung infections that progressively damage these vital organs and impair patients’ ability to breathe. Most patients with this progressive genetic disorder die by the fourth decade of life. A key to helping patients live even that long – a vast improvement from an average lifespan of 10 years just decades ago – is judicious use of antibiotics, explains Andrea Hahn, M.D., a pediatric infectious diseases specialist at Children’s National Health System. But antibiotics are a double-edged sword, Dr. Hahn adds: Although they’re necessary to eradicate lung infections, repeated use of these drugs can lead to antibiotic resistance, making it tougher to treat future infections. Also, antibiotic use can kill the nonpathogenic bacteria living in the lungs as well. That decreases the diversity of the microbial community that resides in the lungs, a factor associated with disease progression. But how antibiotic resistance impacts the relationship between lung bacterial diversity and CF patients’ pulmonary function has been unknown. Dr. Hahn and colleagues investigated this question in a small study that was published online Sept. 17, 2018, in Heliyon. Their findings suggest that the presence of multidrug resistant bacteria in the airways of patients with CF is associated with decreased microbial diversity and decreased pulmonary function. Thirty days after patients completed antibiotic therapy, when their lungs’ bacterial flora had some time to bounce back. Over the 18-month study period, these patients made multiple visits for exacerbations and antibiotic treatments, leading to samples from 19 patient encounters overall. The scientists then analyzed each sample in two different ways. They used some to grow cultures in petri dishes, the classic method that labs use to figure out which bacterial species are present and to determine which antibiotics are effective in tamping them down. They used another part of the sample to run genetic analyses that searched for antibiotic resistance genes. Both methods were necessary to gather a complete inventory of which antibiotic-resistant bacteria were present, Dr. Hahn explains. Their results revealed a host of bacterial species present in these patients’ airways, including methicillin-resistant Staphylococcus aureus, a notoriously hard-to-treat microbe. Patients who carried this or other antibiotic-resistant bacteria had significantly lower microbial diversity in their samples and more aggressive disease. Their samples also were more likely to contain bacteria of the genus Alcaligenes, whose role in CF is not yet known. Although heavy antibiotic use probably contributed to both the antibiotic resistance and lowered microbial diversity, Dr. Hahn says, the answer isn’t to reduce use of these drugs: They’re necessary to help patients with CF recover after each bout with pulmonary exacerbations. Rather, she says, using methods beyond a simple lab culture can help doctors target infectious bacteria more selectively, perhaps avoiding collateral damage. In addition to Dr. Hahn, Children’s co-authors include Aszia Burrell; Hani Fanous; Hollis Chaney, M.D. ; Iman Sami Zakhari, M.D. ; Geovanny F. Perez, M.D. ; Anastassios C. Koumbourlis, M.D., MPH; and Robert J. Freishtat, M.D., MPH; and Senior Author, Keith A. Crandall, of The George Washington University. Financial support for the research described in this post was provided by the National Institutes of Health National Center for Advancing Translational Sciences under award number UL1TR000075 and the National Heart, Lung and Blood Institute under award number K12HL119994. Signals released during plasma membrane repair initiate tissue repair: Extracellular vesicle signaling, an intracellular calcium increase that initiates plasma membrane repair in injured cells and an increase in cytosolic calcium that stimulates release of ATP by vesicle exocytosis or through plasma membrane channels. All cells are surrounded by a cell membrane: a double layer of lipids with embedded proteins that separates the inside of the cell from the outside environment. At only 10 nanometers in thickness, this layer is quite fragile. Any breach can be fatal for a cell, causing chemical imbalances by exposing its interior to the extracellular milieu. Consequently, cells have evolved a set of responses to rapidly restore the integrity of the cell membrane in the event of a rupture, coordinating actions spurred by both immediate and longer-term signals. 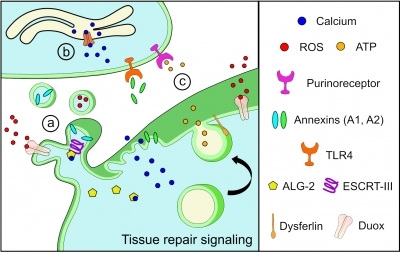 Research is providing a growing understanding of these repair mechanisms, which could go awry in degenerative diseases. 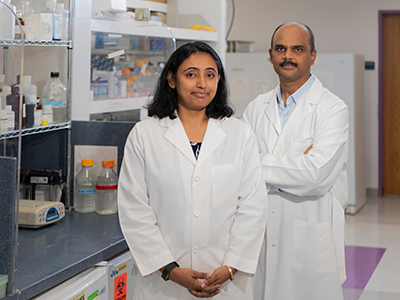 Adam Horn, Ph.D., a postdoctoral fellow, and Jyoti K. Jaiswal, Ph.D., a principal investigator at Children’s Center for Neuroscience Research and the Center for Genetic Medicine Research, recently co-authored a literature review article summarizing these cell membrane repair mechanisms and the signals that trigger them. They delve into a variety of resourceful ways that cells fix tears or holes in this membrane, including one akin to blood clotting that stuffs a tear with proteins, organelles or vesicles; another in which the proteins that give a cell structure (the cytoskeleton) disassemble, relaxing tension that helps pull the damaged membrane together; or one in which the damaged portion in the membrane is shed. 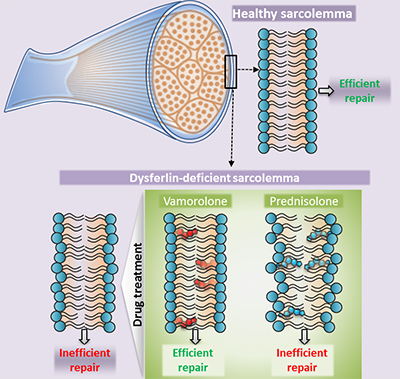 These repairs are driven by signals that largely rely on a large calcium influx into the cellular fluid, which spurs into action a variety of repair-related proteins. Better understanding each element could help researchers develop new and better ways to treat degenerative diseases in which cells inadequately repair damage. Q: How do the different types of signals coordinate individual and collective mechanisms of cell membrane repair? Q: How is cell membrane repair coordinated among populations of cells at the tissue level? Source: “Cellular Mechanisms and Signals That Coordinate Plasma Membrane Repair.” A. Horn and J.K. Jaiswal. Published by Cellular and Molecular Life Sciences July 26, 2018. There is a widespread practice of parents giving dietary supplements to children with Down syndrome in the hope of improving intelligence or function, according to new research published in The Journal of Pediatrics. The study, conducted by experts at Children’s National Rare Disease Institute (CNRDI), examined the prevalence, perceived impact, cost and other factors related to dietary supplement use in children with Down syndrome. The survey finds nearly half of 1,167 respondents – 49 percent – have given or currently give dietary supplements to their children in an effort to improve health and development. On average, children receive three of the more than 150 supplements reported, with nearly 30 percent of users beginning supplementation before the child’s first birthday. Amy Feldman Lewanda, M.D., a medical geneticist at CNRDI and lead author on the study, notes that the results also reveal a troubling trend – nearly 20 percent of parents who report using dietary supplements do not inform their pediatrician. Reasons for not informing pediatricians about supplement use vary, according to the study results. The most common reason reported was that the doctor has never specifically asked about nutritional supplements. While some parents indicate they do not view supplement use as important medical information to divulge, others feel that their pediatrician may not be knowledgeable about these types of supplements or may dismiss the practice entirely, as some reportedly have done in the past. Amy Feldman Lewanda, M.D., a medical geneticist at CNRDI and lead author on the study. The most popular class of products reported by 25.8 percent of respondents taking supplements are antioxidants, such as curcumin, a byproduct of turmeric, and epigallocatechin-3-gallate (ECGC), the polyphenol compound in green tea. Vitamins, both single and multivitamins, rank second, accounting for 18.9 percent of supplement use. B vitamins were the most popular among single vitamin use. 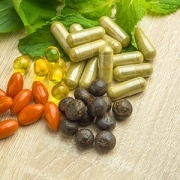 The third most popular supplement category, reported by 15.8 active or previous supplement users, contains proprietary products or combination supplements, such as Nutrivene-D or HAP-CAPS (High Achievement Potential Capsules). According to Dr. Lewanda, chemical analyses of herbal supplements find some contain anabolic steroids or pharmaceuticals that aren’t listed in the ingredients. Hepatoxicity has been cited among 60 herbs, herbal drugs and herbal supplements. The problem, she notes, is that these products aren’t regulated, like pharmaceuticals are, and similarly, they aren’t thoroughly tested for their safety and efficacy. The study also notes potential concerns about consuming hyper-concentrated forms of fat-soluble vitamins, including vitamin E and vitamin K, which stay in the body until the vitamins are used. 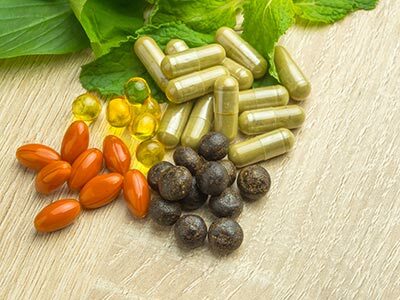 One particular supplement, Speak, provides 5,000 percent of the recommended daily value limits of vitamin E. Fat-soluble vitamins and/or herbal supplements pose unknown health risks – including liver damage. Among study respondents who actively provide supplements to their children, roughly 87 percent feel they are effective. Those who stopped administering supplements to their children cite lack of efficacy and cost – approximately $90.53 per month on average – as leading reasons for discontinuing use. Approximately 17 percent of respondents note side-effects of supplement use, specifically gastrointestinal disturbance, which was the most common side effect among active and previous supplement users. 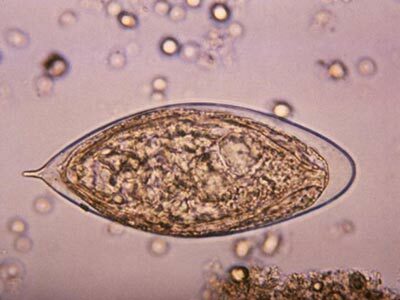 “Urogenital Schistosoma infestation, which is caused by S. haematobium, also causes hemorrhagic cystitis, likely by triggering inflammation when the parasite’s eggs are deposited in the bladder wall or as eggs pass from the bladder into the urinary stream. 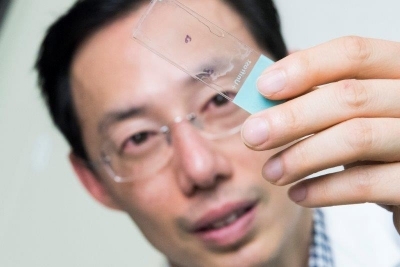 S. haematobium eggs secrete proteins, including IPSE, that ensure human hosts are not so sickened that they succumb to hemorrhagic cystitis,” says Michael H. Hsieh, M.D., Ph.D.
Every year, hundreds of thousands of U.S. patients – and even more throughout the world – are prescribed cyclophosphamide or ifosfamide. These two chemotherapy drugs can be life-saving for a wide range of pediatric cancers, including leukemias and cancers of the eyes and nerves. However, these therapies come with a serious side effect: Both cause hemorrhagic cystitis in up to 40 percent of patients. This debilitating condition is characterized by severe inflammation in the bladder that can cause tremendous pain, life-threatening bleeding, and frequent and urgent urination. 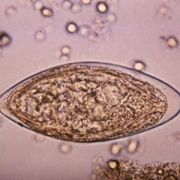 Infection with a parasitic worm called Schistosoma haematobium also causes hemorrhagic cystitis, but this organism has a fail-safe: To keep its host alive, the parasite secretes a protein that suppresses inflammation and the associated pain and bleeding. In a new study, a Children’s-led research team harnessed this protein to serve as a new therapy for chemotherapy-induced hemorrhagic cystitis. S. mansoni IPSE binds to Immunoglobulin E (IgE), an antibody produced by the immune system that is expressed on the surface of basophils, a type of immune cell; and mast cells, another immune cell that mediates inflammation; and sequesters chemokines, signaling proteins that alert white cells to infection sites. 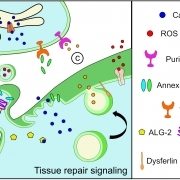 The team produced an ortholog of the uropathogen-derived protein. A single IV dose proved superior to multiple doses of 2-Mercaptoethane sulfonate sodium (MESNA), the current standard of care, in suppressing chemotherapy-induced bladder hemorrhaging in an experimental model. 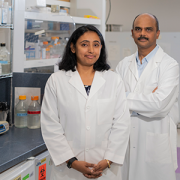 It was equally potent as MESNA in dampening chemotherapy-induced pain, the research team finds. Future research will aim to describe the precise molecular mechanisms of action, as well as to generate other orthologs that boost efficacy while reducing side effects. In addition to Dr. Hsieh, Children’s study co-authors include Lead Author, Evaristus C. Mbanefo; Loc Le and Luke F. Pennington; Justin I. Odegaard and Theodore S. Jardetzky, Stanford University; Abdulaziz Alouffi, King Abdulaziz City for Science and Technology; and Franco H. Falcone, University of Nottingham. Financial support for this research was provided by National Institutes of Health under award number RO1-DK113504. “The use of CRC is a potentially powerful translational approach to shed light on the molecular mechanisms that control airway epithelial immune responses in infants and young children. 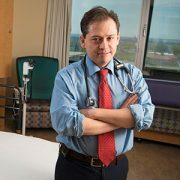 This novel approach enables us to study the origins of respiratory disease and its chronic progression through childhood and beyond,” observes Gustavo Nino, M.D., a Children’s pulmonologist and study senior author. 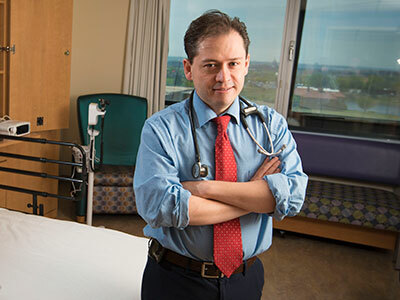 A new method perfected by a team at Children’s National Health System may help expand research into pulmonary conditions experienced by infants and children, an understudied but clinically important age group. 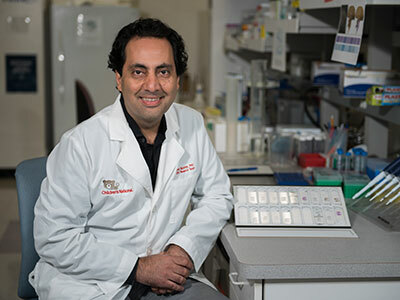 The study describing the new technique was published in the December 2017 print edition of Pediatric Allergy and Immunology. 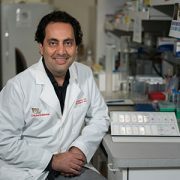 Using conditionally reprogrammed cells (CRCs), a technique that enables indefinite proliferation of cells in the lab, the team was able to produce cell cultures that have a number of advantages over standard cultures and that may make it easier and more efficient to conduct research into pediatric respiratory immune responses. The epithelial cells that line human airways are crucial in controlling immune responses to viruses, allergens and other environmental factors. 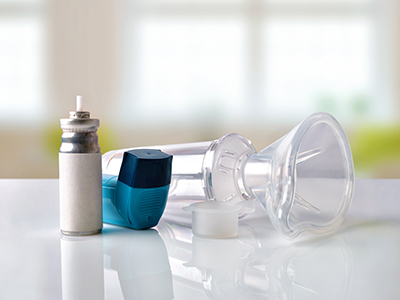 The function and dysfunction of these airway epithelial cells (AECs) play a key role in asthma, cystic fibrosis and other pulmonary conditions, many of which begin in early life. To generate enough of these cells for research, scientists culture AECs from primary nasal and bronchial cell samples. Cells derived from adults have fueled research leading to new therapies and the discovery of key biomarkers. But little comparable research has been conducted in infants. 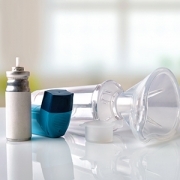 Airway sampling in premature infants has not been reported, likely to due to airway size limitations and underlying comorbidities. Similarly, sampling in infants is limited by the need for bronchoscopy and sedation. While primary AECs do not survive long in the lab, that hurdle was recently overcome by a process that generates CRCs from the primary AECs of adults, making it possible to quickly generate cell cultures from specimens. In this study, the Children’s team adapted that approach, producing CRCs from primary AECs of neonates and infants. The CRC induction successfully enabled AEC cultures from infants born prematurely and from bronchial specimens of young children. “We found that the CRCs have longer cell life and greater proliferation ability than standard cultures of epithelial cells. They preserved their original characteristics even after multiple experiments. 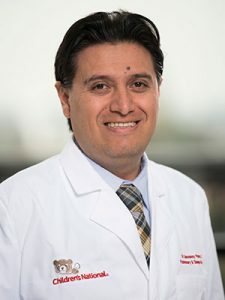 And, they presented an innate immune response similar to that seen in primary human epithelial cells during viral respiratory responses in children,” says Dr. Perez. The authors note that further studies are needed to define more precisely the differences and similarities in the immune responses of CRC and non-CRC derived from primary AEC. However, they conclude that CRC represents a new, effective method to study AEC innate immune responses in infants. In addition to Drs. 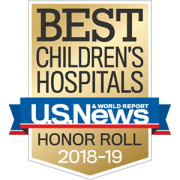 Perez and Nino, Children’s Center for Genetic Medicine Research co-authors include Co-Lead Author S. Wolf; Lana Mukharesh; Natalia Isaza Brando, M.D. ; Diego Preciado, M.D., Ph.D.; Robert J. Freishtat, M.D., M.P.H. ; Dinesh Pillai, M.D. ; and M. C. Rose. Financial support for this research was provided by the National Institute of Allergy and Infectious Diseases under grant number R21AI130502; Eunice Kennedy Shriver National Institute of Child Health and Human Development under grant number HD001399; National Heart, Lung and Blood Institute under grant number HL090020; and National Center for Advancing Translational Sciences under grant number UL1TR000075. 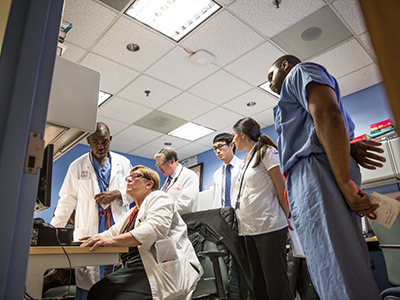 Facial recognition technology developed and tested by researchers with the Sheikh Zayed Institute for Pediatric Surgical Innovation and Rare Disease Institute at Children’s National was the runner-up in this year’s STAT Madness 2018 competition. 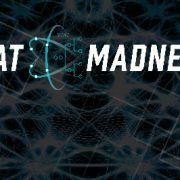 Facial recognition technology developed and tested by researchers with the Sheikh Zayed Institute for Pediatric Surgical Innovation and Rare Disease Institute at Children’s National was the runner up in this year’s STAT Madness 2018 competition. 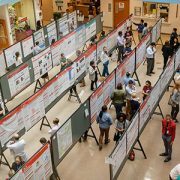 Garnering more than 33,000 overall votes in the bracket-style battle that highlights the best biomedical advances, the Children’s National entry survived five rounds and made it to the championship before falling short of East Carolina University’s overall vote count. Children’s entry demonstrates the potential widespread utility of digital dysmorphology technology to diverse populations with genetic conditions. The tool enables doctors and clinicians to identify children with genetic conditions earlier by simply taking the child’s photo with a smartphone and having it entered into a global database for computer analyses. The researchers partnered with the National Institutes of Health National Human Genome Research Institute and clinicians from 20 different countries to acquire pictures from local doctors for the study. Using the facial analysis technology, they compared groups of Caucasians, Africans, Asians and Latin Americans with Down syndrome, 22q11.2 deletion syndrome (also called DiGeorge syndrome) and Noonan syndrome to those without it. 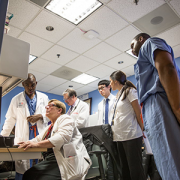 Based on more than 125 individual facial features, they were able to correctly identify patients with the condition from each ethnic group with more than a 93 percent accuracy rate. Missed diagnoses of genetic conditions can negatively impact quality of life and lead to premature death. Children’s National also was among four “Editor’s Pick” finalists, entries that span a diverse range of scientific disciplines. 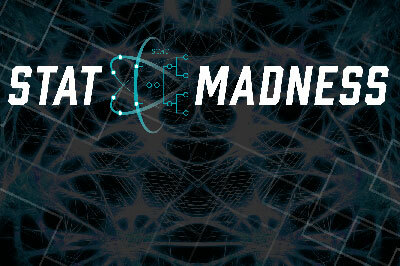 Journalists at the digital publication STAT pored through published journal articles for 64 submissions in the single-elimination contest to honor a select group of entries that were the most creative, novel, and most likely to benefit the biomedical field and the general public. Each year, 1 million children are born worldwide with a genetic condition that requires immediate attention. Because many of these children experience serious medical complications and go on to suffer from intellectual disability, it is critical that doctors accurately diagnose genetic syndromes as early as possible. 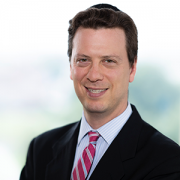 In addition to providing patient-specific benefits, Marshall Summar, M.D., director of Children’s Rare Disease Institute that partners in the facial recognition technology research, says the project offers a wider societal benefit.